A best Practice Guide to Assessment and Intervention for Autism and Asperger Syndrome in Schools continues to be a gold standard autism resource for parents and practitioners. Written by Lee A. Wilkinson, PhD, a practicing school psychologist, this authoritative, yet accessible award-winning text provides step-by-step guidance for screening, assessing, and educating children at-risk for autism spectrum disorders (ASD). Grounded in the latest research, special features include illustrative case examples, FAQs, quick reference boxes, glossary, and an index to 50 evidence-based best practice recommendations. It is an essential guide and valuable resource for practitioners in psychology, general and special education, counseling, social work, and for graduate and pre-service students. Parents, advocates, administrators, and attorneys will also find the content informative and helpful. This text is a welcome addition to the reference libraries of all who want to further their understanding of the identification and treatment of school-age children with ASD. Highly readable and comprehensive, this book sets the standard for those working with students with ASD. This book makes also an ideal text or guide for graduate-level training courses in psychology and special education, and has become a widely used resource. According to the Journal of Autism andDevelopmental Disorders "This book provides a complete source for parents, educators, researchers and clinicians seeking information related to assessment and interventions available for individuals (mostly children) diagnosed with Autism Spectrum Disorders (ASD). The main reason the book stands out is the application of all the discussed concepts in the two case examples of Jeremy and Sally. Dr. Wilkinson presents a detail and person-centered approach to the stages and issues that needs to be addressed while conducting an assessment and planning interventions for individuals diagnosed with ASD. Educators and clinicians can make use of the detailed case examples as those may be applicable to their work environment." 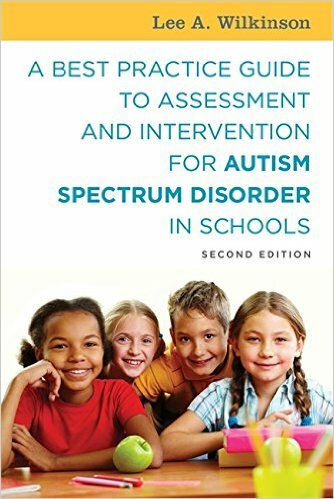 A BestPractice Guide to Assessment and Intervention for Autism and Asperger Syndrome in Schools is available from Jessica Kingsley Publishers, ISBN: 978-1-84905-811-7 and can be ordered directly from the publisher at http://www.jkp.com/ and all major booksellers, including http://www.amazon.com. The book is available in both print and eBook formats. Dr. Wilkinson is also the editor of a recent volume in the APA School Psychology Book Series, Autism Spectrum Disorder in Children and Adolescents: Evidence-Based Assessment and Intervention in Schools and author of the new book, Overcoming Anxiety and Depression on the Autism Spectrum: A Self-Help Guide Using CBT. In Part 2 of this Autism Primer, Dr. Wilkinson offers introductory answers to frequently asked questions about identification and educational planning for autism spectrum disorder (ASD). Resources are also provided that will guide you to further information. The content is intended to be informational only and does not constitute professional advice. Question: What is the difference between DSM-5 and IDEA? 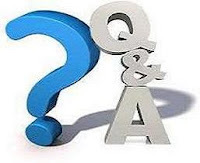 Question: What is an IEP (Individualized Education Program)? Answer: The IEP is a planning, teaching and progress monitoring tool and a working document for all children with special educational needs. The Individual with Disabilities Act (IDEA) requires that when a child is identified as having special educational needs, he or she is provided with an individualized education program (or plan) that specifies the services the student will receive during the school year. In addition to outlining academic objectives and goals, the IEP includes interventions, modifications, behavioral supports, related services, and learning opportunities designed to assist the child throughout school and with transition to adulthood. Goals for a student with ASD usually include the areas of communication, social behavior, challenging behavior, and academic and functional skills. Question: What is the difference between a 504 plan and IEP? 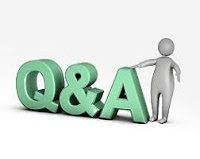 Answer: There continues to be considerable misunderstanding among educators regarding the salient differences in purpose, eligibility, and type of plan (IEP versus Accommodation Plan) between IDEA and Section 504. While both have the same mandate to provide a free appropriate public education (FAPE), they have very different ways of meeting this requirement. Section 504 is civil rights legislation (not a federal grant program like IDEA) and the FAPE requirement is met for 504-only students via an accommodation plan (504 Plan), not the direct, specially designed instructional services of an individualized education program (IEP). The definition of a person with a disability under Section 504 is quite broad and includes “Any person who has a physical or mental impairment which substantially limits one or more major life activities, has a record of such impairment, or is regarded as having such impairment.” In contrast, IDEA defines a "child with a disability" as a child: "with mental retardation, hearing impairments (including deafness), speech or language impairments, visual impairments (including blindness), serious emotional disturbance, orthopedic impairments, autism, traumatic brain injury, other health impairments, or specific learning disabilities; and who, by reason thereof, needs special education and related services." Question: Do all children with ASD need special education? Answer: All children and youth with ASD will benefit from individualized and specialized interventions and programs. According to the National Research Council (2001), a child who receives a diagnosis of any ASD should be eligible for special educational programming under the educational category of “autism,” regardless of the specific diagnostic category within the autism spectrum (autistic disorder, Asperger’s disorder, atypical autism, PDDNOS). Research supports the importance of initiating educational service as soon as a child is suspected of having an ASD. Question: Why do more boys than girls receive a diagnosis of ASD? Answer: Boys are at greater risk for nearly all developmental, behavioral, and learning disorders and are at least four times more likely than girls to receive a diagnosis of autism. 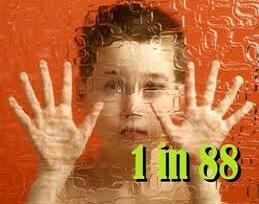 The ratio increases to 10:1 with Asperger syndrome and higher functioning autism (HFA). Although there are no documented reasons for this gender difference, some researchers have hypothesized that a genetic mechanism or gender bias might play a role. It has been hypothesized that differences in brain organization might provide a protective factor for girls and lowers the risk for developing the disorder. There is also some conjecture that expression of the behavioral phenotype might be different for girls than boys. Since females are socialized differently, ASD may not be manifest in the same way as typical male behavioral signs and patterns. There may also be a gender bias associated with a reliance on male criteria with respect to the diagnostic criteria for ASD. Answer: Applied Behavior Analysis (ABA) is perhaps the most popular approach to the treatment of autism and other pervasive developmental disorders. This method uses positive reinforcement, repetition and prompting to teach language, play and social skills. Discrete trial training (DTT) is the most common teaching technique incorporated into the ABA method. This approach involves breaking behaviors down into subcategories and teaching each subcategory through repetition, positive reinforcement and prompts that are gradually removed from the program as the child progresses. During this teaching, each subcategory is taught intensely and exclusively until the behavior is learned to help to ensure success for the child. Discrete trial training is a technique that can be an important element of a comprehensive educational program for the child with ASD. Question: What is Positive Behavior Support (PBS)? Answer: Positive Behavior Support (PBS) is a systematic approach to preventing or reducing challenging behaviors, and, eventually, to enhancing the quality of life for individuals with autism and support providers. A central concept in PBS is the significance of the "function" of behavior. All behavior is considered to be meaningful, purposeful, and functional for the individual. The key objective of PBS is to determine the function of the problem behavior, and then to teach socially acceptable alternative/replacement skills and behaviors that are effective and efficient in accomplishing the function of the problem behavior. Life Journey through Autism: A Parent’s Guide to Assessment. Arlington, VA: Organization for Autism Research. Dr. Lee A. Wilkinson, award-winning author and autism specialist, offers introductory answers to frequently asked questions about autism spectrum disorders (ASD). Resources are also provided that will guide you to further information. The content is intended to be informational only and does not constitute professional advice. 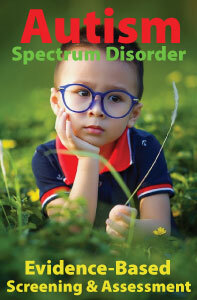 Question: What is an autism spectrum disorder (ASD)? Answer: The synonymous terms Autistic Spectrum Disorder (ASD) and Pervasive Developmental Disorder (PDD), including autistic disorder, Asperger’s disorder, and pervasive developmental disorder not otherwise specified (PDD-NOS), refer to disorders of childhood onset characterized by impairment in social interaction and communication, as well as restricted or stereotyped patterns of behavior or interests. These delays or atypicality in social development, communication, and behavior vary in severity of symptoms, age of onset, and association with other disorders. Deficits in social relatedness are the major source of impairment and defining feature of all autism spectrum disorders (ASD), regardless of cognitive or language ability. This includes difficulties in communicating with others, processing and integrating emotional information, establishing and maintaining reciprocal social relationships, taking another person's perspective, and inferring the interests of others. Question: What are the reasons for the dramatic increase in children identified with ASD? Answer: Contrary to popular reports of an autism “epidemic,” the increase in prevalence over the last 10 years is mostly due to better identification practices, broadening of the diagnostic criteria, diagnosis at an earlier age, and greater public awareness of the signs and symptoms of ASD. Although the number of children identified has clearly increased, it is unclear whether the actual number of children with ASD has increased dramatically. Question: What is the cause of ASD? Answer: Autism is a neurodevelopmental disorder of unknown cause. Current research links autism to biological or neurological differences in the brain. 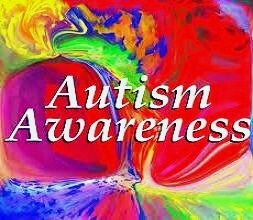 Unfortunately, there are no biological markers or laboratory tests that can reliably diagnose autism. Growing evidence suggests that genetic factors play a significant role in its etiology. Although autism may be associated with a variety of genetic mechanisms and no particular environmental factors have been scientifically validated, ongoing studies are examining a possible gene-environmental connection. Question: At what age can children be identified with ASD? Answer: Autism is a lifelong neurodevelopmental disorder that appears during the first three years of life. Although normally present from birth, the age at which symptoms become apparent varies significantly. Advances have been made in identifying behavioral indicators as well as atypical development in very young children who are later diagnosed with ASD. Common signs or “red flags” of autistic disorder include: • Does not smile by the age of six months • Does not respond to his name • Does not cry • Does not babble or use gestures by 12 months • Does not point to objects by 12 months • Does not use words by 16 months • Does not use two-word phrases by 24 months • Regresses after mastering skills/loses previously mastered skills • Delays in milestones like crawling and walking. Although there is some evidence that the features of autism can be identified very early in life, the most reliable diagnosis is generally made by trained professionals when a child reaches approximately 2 years of age. Question: How does a family history of autism affect the risk of a child developing an autism spectrum disorder? Answer: Researchers now recognize that there is a genetic vulnerability in the development of autism. For example, twin studies indicate that in identical twins, if one twin has autism, there is a 60-90% probability that the other twin will also be affected. A recent research study suggests that nearly 1 in 5 children who have an older sibling with autism will also develop the disorder at a rate much higher than previously thought. Earlier estimates put the risk at between 3 and 10%, but the study found a substantially higher risk rate of approximately 19%, on average. Boys were nearly three times as likely to develop autism as girls, with a recurrence rate of 26% versus 9%. Unfortunately, we do not know how to estimate an individual family’s actual risk. Question: How early should intervention begin for children with ASD? Answer: Researchers and practitioners suggest that children identified with autism begin intensive behavioral treatment and receive educational services as early as possible in order to achieve the best possible outcomes. Specialized instruction should occur in a setting in which ongoing interventions occur with typically developing children. There is evidence that the early initiation of services is associated with a greater response to intervention and positive changes in language, social, or cognitive outcomes. Question: What intervention or treatment works best for children with ASD? Answer: There is no single intervention or treatment that is right for every child with ASD and no specific program or model has been shown to be superior to another. According to the National Research Council (2001), research is not yet available to predict which intervention approaches work best with which children. As a result, no one approach or method is equally effective with all children, and not all children will make the same progress or gains. The most effective interventions and programs are those that are based on the individual child’s unique needs, strengths and weaknesses. Question: What are the long term outcomes for children with ASD? Answer: There is no cure for autism. A diagnosis of ASD remains fairly stable throughout adolescence and adulthood. Although research has demonstrated substantial progress in response to scientifically-based interventions over a relatively short period of time, few longitudinal studies have examined the long term outcomes for children with ASD. Outcomes tend to be variable, with some children making significant improvement and gains and others showing little progress. However, recent research suggests that there is a trend toward improved outcomes for individuals with ASD in general. Increased opportunities for early intervention, improved educational programs and services, and parent and family support substantially increase the possibility of a more favorable outcome. More children than ever before are being diagnosed with autism spectrum disorders (ASD). The Centers for Disease Control and Prevention (CDC) has released the most comprehensive U.S. investigation of autism prevalence to date. The current CDC report, Prevalence of Autism Spectrum Disorders — Autism and Developmental Disabilities Monitoring Network, 14 Sites, United States, 2008, provides updated ASD prevalence estimates from the 2008 surveillance year, representing 14 Autism and Developmental Disabilities Monitoring (ADDM) community sites in the United States - Alabama, Arizona, Arkansas, Colorado, Florida, Georgia, Maryland, Missouri, New Jersey, North Carolina, Pennsylvania, South Carolina, Utah and Wisconsin. In addition to prevalence estimates, characteristics of the population of children with ASD are described, as well as detailed comparisons of the 2008 surveillance year findings with those for the 2002 and 2006 surveillance years. Briefly, a child is included as meeting the surveillance case definition for an ASD if he or she displays behaviors (as described on a comprehensive evaluation completed by a qualified professional) consistent with the American Psychiatric Association's Diagnostic and Statistical Manual-IV, Text Revision (DSM-IV-TR) diagnostic criteria for any of the following conditions: Autistic Disorder; Pervasive Developmental Disorder–Not Otherwise Specified (PDD-NOS, including Atypical Autism); or Asperger Disorder. The following are salient points culled from the full CDC report. The current data confirm that the estimated prevalence of ASD identified in the ADDM network surveillance populations continues to increase. For 2008, the overall estimated prevalence of ASDs among the 14 ADDM sites was 11.3 per 1,000 (one in 88) children aged 8 years who were living in these communities during 2008. However, overall ASD prevalence estimates varied widely across all 14 sites (range: 4.8–21.2 per 1,000 children aged 8 years). Note: Because the ADDM Network sites do not make up a nationally representative sample, these combined prevalence estimates should NOT be generalized to the United States as a whole. The surveillance areas were not selected to be representative of the United States, nor were they selected to be representative of the states in which they are located. Comparison of 2008 findings with those for earlier surveillance years indicated an increase in estimated ASD prevalence of 23% when the 2008 data were compared with the data for 2006 (from 9.0 per 1,000 children aged 8 years in 2006 to 11.0 in 2008 for the sites that provided data for both surveillance years). There was an estimated increase of 78% when the 2008 data were compared with the data for 2002 (from 6.4 per 1,000 children aged 8 years in 2002 to 11.4 in 2008 for the sites that provided data for both surveillance years). Approximately one in 54 boys and one in 252 girls living in the ADDM Network communities were identified as having ASDs. ASD prevalence estimates were significantly (p<0.01) higher among boys than among girls in all 14 ADDM sites. Changes in estimated ASD prevalence during 2006–2008 also varied by race within individual ADDM sites and when combining data from all sites. While ASD prevalence estimates in the overall population increased 23% for the 2-year period 2006–2008, and 78% during the 6-year period 2002–2008, the largest increases over time were noted among Hispanic children and non-Hispanic black children. The combined estimates indicated a 16% increase in ASD prevalence among non-Hispanic white children, a 42% increase among non-Hispanic black children, and a 29% increase among Hispanic children. It should be noted that better identification in these specific groups appears to explain only part of the overall increase. Data on intellectual ability are reported for the seven sites having information available for at least 70% of children who met the ASD case definition. When data from these sites were combined, 38% of children with ASD were classified in the range of intellectual disability (e.g., IQ ≤70 or an examiner's statement of intellectual disability), 24% in the borderline range (IQ 71–85), and 38% had IQ scores >85 or an examiner's statement of average or above-average intellectual ability. Comparing IQ test data available in both the 2006 and 2008 surveillance years, the estimated prevalence of ASD with intellectual disability increased 12% on average, while the prevalence of ASD with borderline intellectual ability increased 22%, and the prevalence of ASD with average or above-average intellectual ability increased 13%. The estimated ASD prevalence continues to rise in most ADDM Network sites, reflecting an important public health concern in the United States and underscoring the need for continued resources to identify potential risk factors and to provide essential supports for persons with ASD and their families. Unfortunately, many children with ASD do not receive a diagnosis until they reach preschool or kindergarten age, missing opportunities for earlier therapies that potentially could improve communication and socialization while these skills are developing. CDC is partnering with other federal and private partners in a coordinated response to identify risk factors for ASDs and to meet the needs of persons with ASDs and their families. 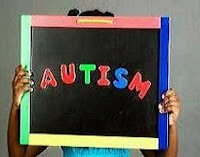 Additional information is available at http://www.cdc.gov/autism. The CDC cautions that data provided in this report are subject to some limitations. For example, while increases in awareness and access to services have improved the ability of the ADDM Network to identify children with ASD over time and likely contributes to the increase in estimated prevalence, the proportion of the increase attributable to changes in case ascertainment or attributable to a true increase in prevalence of ASD symptoms cannot be determined. Ongoing monitoring is an important tool to learn why more children are being identified with ASD and can provide important clues in the search for risk factors. The CDC report concludes that although multiple factors influence the identification of children with ASD and differences in prevalence estimates across sites, the data provided in this report indicate the need for further exploration of possible associations between overall ASD prevalence and improved identification among children without intellectual disability, children in all racial/ethnic populations, and both males and females, including potential interactions between these factors.